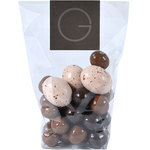 We're sure you'll love the mouth-watering flavours in our latest assortment of chocolates and confectionery: rhubarb fool, pear charlotte and raspberry tart, mini cubes of chocolate-coated crystallised orange, crunchy hazelnut praline sticks and nougat and respberry flavoured caramelised almonds... A perfect mix of irresistible textures and flavours. 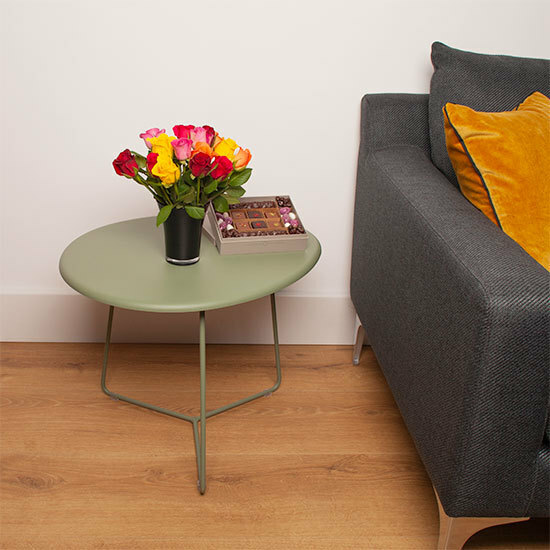 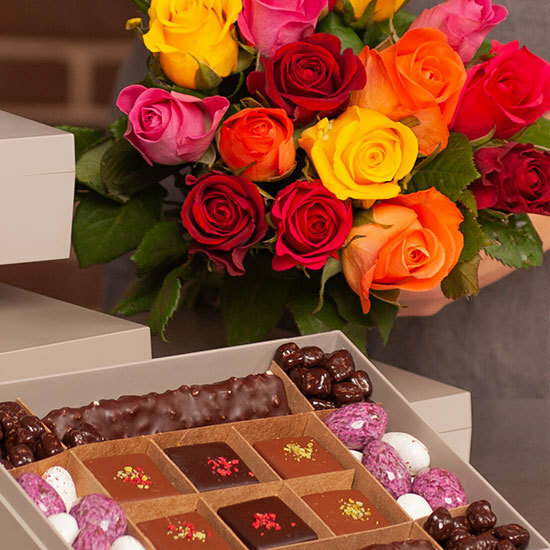 Your assortment will be accompanied by a pretty bouquet of 15 multicoloured roses. 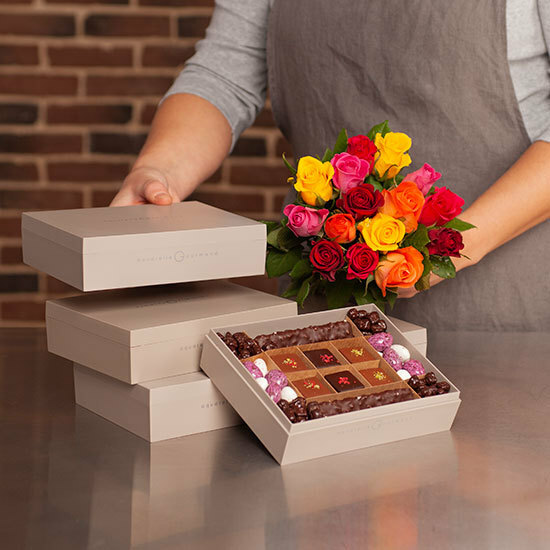 Treat someone to a gourmet break right now! 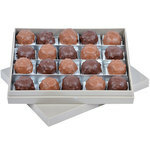 Our chocolates and confectionery should be kept in their original packaging, in a cool, dry place at room temperature.